The elephant in the room. We think about it, we don’t talk about it. It is since the Middle Ages that we fear death to such degree that we remove it form the public realm. So when do we talk about death? 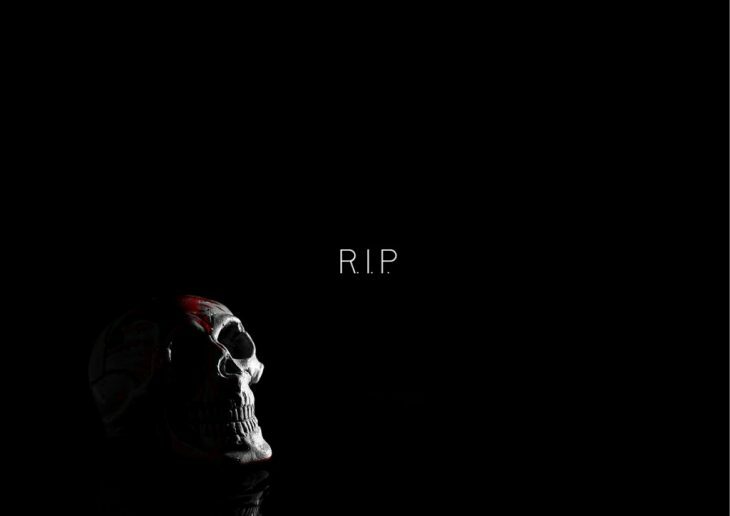 A less than 24h event that is supposedly helping us remember the deceased and provide closure to an abruptly ended relationship. 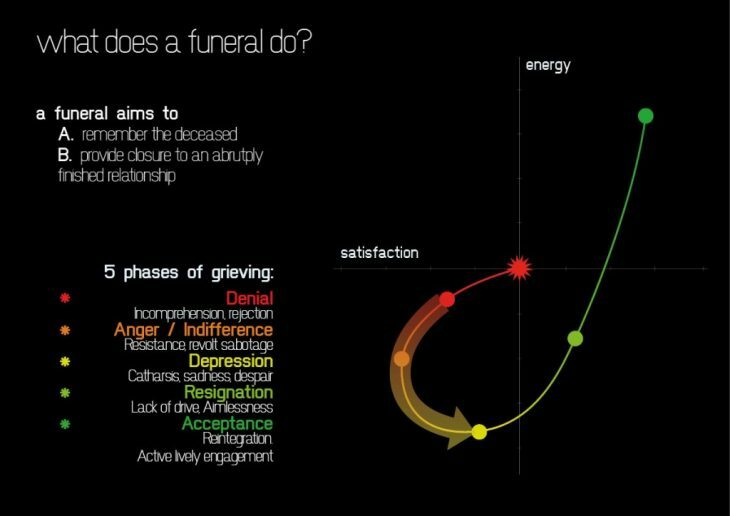 The 5 phases of grief are: Denial, Anger, Depression, Resignation and Acceptance, according to Elizabeth Kobler-Ross, psychologist responsible for the Kobler-Ross diagram, that is the most accepted understanding of the mourning journey. But what role does a funeral play in this? How much does it help us move forward in the process, or does it even help at all? With current technology (not even having to project or speculate at this point) it is not a big challenge. 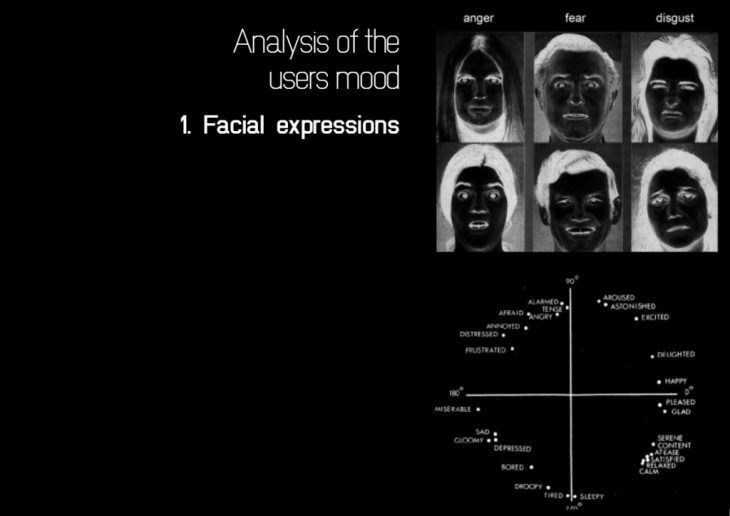 Facial Expression Recognition – detecting basic human emotions such as Sadness, Anger, Happiness, etc. Body Language Reading – pinning down their mind set through their body position, shoulders, gaze, etc. Movement and Interactions in the space – that includes both speed of their movements and interactions with other people against alone time. a number of comparative charts are produced, linking type of service, details of the deceased, and extent of the stay of the users, to the emotional journey of the visitors. Emotional Heat Maps are generated. 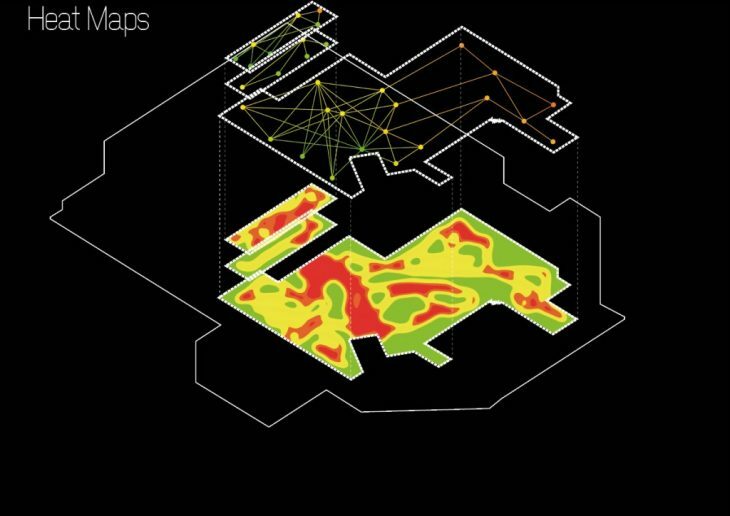 These maps will show in what types of spaces the users have a better experience, as opposed to kinds of spaces that do not help their grieving. implementing better design of their future Funeral Homes when branching out. The application of this model in other fields can very quickly be seen. Other sorts of spaces can benefit from this information not only in the medical or psychological environment (where “therapeutic spaces” could be brought much further with this tool), but in any commercial space, or even public spaces. a static use of this data: where the results of each research would be used to design better spaces in the following challenge. a dynamic use of this data: where emotional data could help the space adjust in real-time to the users, therefore making this data the last dynamic layer of the city. 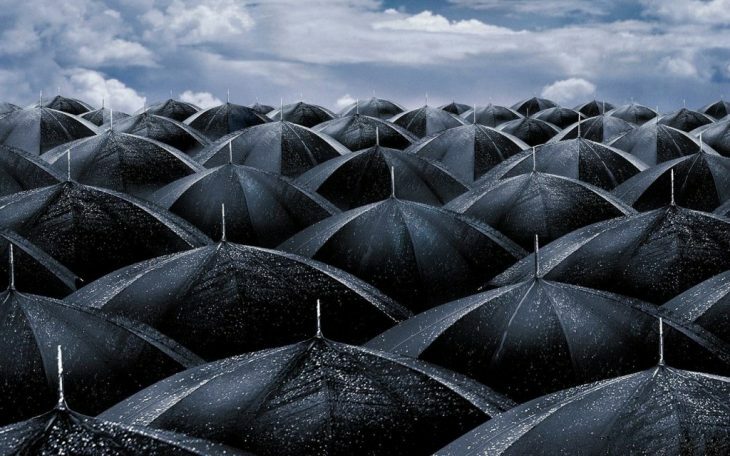 We might not want to forget thought, the words of Gabriel García Márquez: “Every human being has three lives: a public life, a private life, and a secret life.” We already live as the new normal the surveillance of our private lives as much as our public. The access to our emotions might be the last territory conquered by the city, depriving us in the near future of our precious secret life.